Nintendo has seen a wide range of titles adapted for its handheld hybrid – from action shooters like Doom to epic dungeon crawlers like Diablo III. But what often gets overlooked is the bevy of indie darlings that are getting a second life thanks to the portable nature of the Switch. 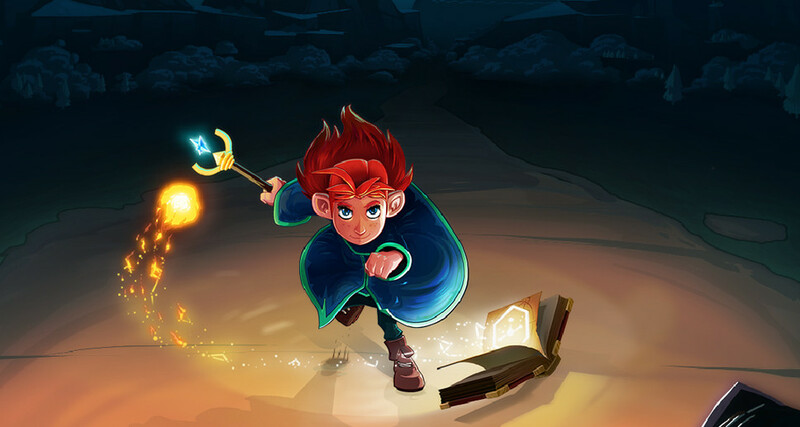 The most recent addition to the console's line up is Mages of Mystralia, a charming little adventure title filled with fun puzzles, roguish enemies, and – who'd have thought – dazzling magic. There’s a focused level of detail and flourishes that breath life into the game, while still keeping it in the domain of an independent studio. 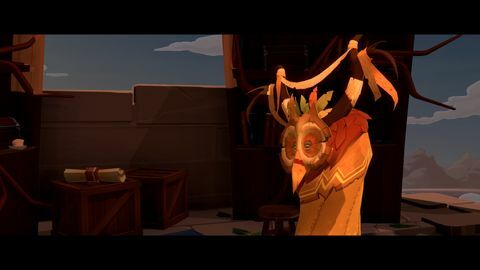 Set in the titular world of Mystralia, the game's hero – a young girl named Zia – must use her powers to save her people from an invading army of trolls. Along the way Zia must overcome the fears and prejudices of her people, whose mistrust in magic is warranted thanks to the misdeeds of an apprentice long-dead. Penned by Ed Greenwood, the creator of the Forgotten Realms world from Dungeons & Dragons, the story leans hard on tropes from the tried and true hero's journey. Instead of being used as a crutch, these archetypes allow for a brevity of story-telling, almost turning to the player and saying "we all know what to expect from an inexperienced hero and a wise old mentor, let's get on with the gameplay." And get into it we do. After Zia's first outburst of magic leaves her home in ruins, she flees her town only to bump into a grumpy old mage. Inducted into the secret order of mages and tasked with learning the lost art of magic, Zia is then set out into the world. The fear and prejudices held by the people of the world makes for a logical, if somewhat basic gating mechanic that lends itself to the narrative. Word has spread quickly of Zia's abilities and towns will bar entry to players until Zia has earned the trust of the local populace. And what's the fastest way to earn trust in an RPG? Why, fetch-quests and boss-killing of course! One bugbear I had was the occasional dip in English localisation. Based in Montreal, it seems like some of the studio's French has made its way through in dialogue for many of the secondary characters. While it’s certainly not an aspect that renders conversations incomprehensible, it’s a slight tarnish on a game that otherwise offers a considerable level of polish. Combat is as much about defense as it is spamming the attack button. An in-depth spell-crafting mechanic offers a multitude of gameplay options. 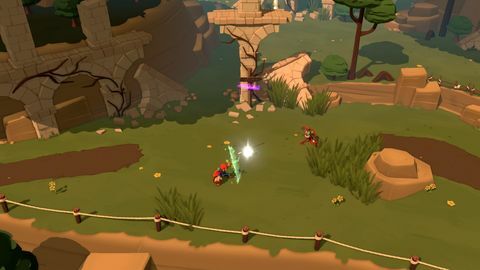 From boss fights to the most menial enemy, Mystralia's combat gets the fundamentals right. You'd be forgiven for thinking Borealys had been taking notes from the Souls series – there's a delicate balance between blasting your foes with magic, and pausing your attacks to put up defensive spells. While a failure to block or dodge doesn't result in brutal consequences, there's a great sense of accomplishment to nailing attack sequences and walking away from a fight with a full health bar. Beyond the fundamentals of dip, dodge, dive, and cast - Mages of Mystralia really doubles down on the casting. 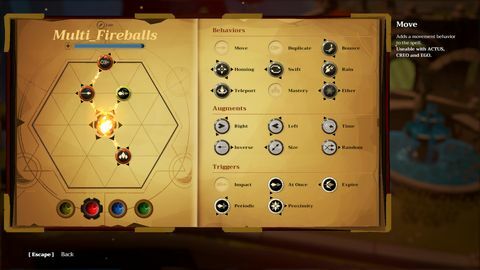 Each spell has an expansive range of modifiers that allow you to hurl the mother-of-all fireballs for devastating damage, or change-up and become a whirling tornado, hurling flames in every direction for some sweet AoE chaos. Customising one's spellbook can be intimidating at first-glance, but the advancement of complexity is well paced, giving players enough time to play with the basic elements before having the whole toolbox thrown at them. Spell-use isn't limited to combat either – with casting being used throughout the world to unlock secret areas and solve puzzles. That many of these spells aren't available until later in the game can be frustrating at times – forcing you to backtrack in order to experience everything. Revisiting older areas with new abilities certainly gives you a sense of your growth in power, but it certainly slows down the pacing of the narrative. Of course, backtracking wouldn't be nearly as frustrating if the world map had been better developed. Quick-travel through the game is rather obtuse, thanks to a severely limited world-map that often leaves you unclear as to where your current location is, and where it is you want to go. The care and detail in Mystralia's art design is a true delight. The exploration of Mystralia has a feel similar to the older Zelda titles, with long grass to comb, troublesome enemies, and pots to smash. So many pots... too many pots. 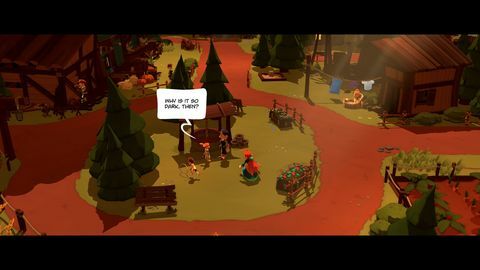 When you factor in that the currency of the game is dropped by each clay vessel, and those vessels respawn each time the player returns to the area, Mystralia's economy becomes redundant almost immediately. That being said, you'd best believe you'll be busting those suckers open every chance you get... it's satisfying as hell. 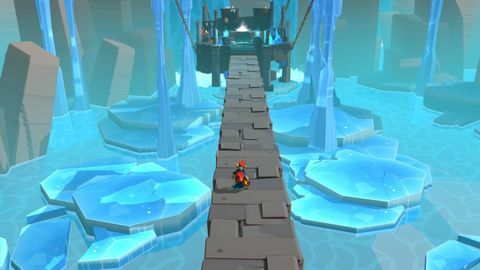 The world of Mystralia offers a number of unique zones, from hidden forests to frozen wilderness. It makes for a grand sense of scope, leaving you feeling like you’ve really been to the end of the world and back at the conclusion of your journey. Borealys’ minimalist art style is charming and beautiful in its simplicity. There’s a focused level of detail and flourishes that breath life into the game, while still keeping it in the domain of an independent studio. For those just looking to burn through Mystralia's story, you can expect to roll credits after a solid 10 hours of play – but to do so would be a disservice to a game that's very much about the journey. Beyond the thrill of growing as a mage, Borealys spent a great deal of attention on world-building. It's arguable that this is to the detriment of the narrative's conclusion which felt a bit anti-climactic, but it translates brilliantly to the portable nature of the Switch. Whether playing on the TV at home or casting spells while out and about, there's never a dip in quality. Mystralia's minimalist design never pushes the console too hard, making for a consistent experience throughout. Borealys leaned hard into the titular "Mage" aspect of the game, ensuring it never felt like an afterthought. Your spells are never "just a mechanic," and the result is a genuinely fun experience. Bringing the title to the Switch was an excellent decision, with a concise narrative pairing beautifully with the short-burst sessions I enjoy while on the go. Ups Deep spell-crafting system. Rich world that's full of life. Strong invitation for exploration. Bite-sized gameplay is perfect for the Switch. Downs A restrictive and confusing map. Broken and ineffective economy. Minor localisation issues.